Minterest’s first volunteering experience with TOUCH Home Care! On 30 January 2019, our team decided to spend our afternoon out of office to participate in the Meals-on-Wheels programme. As Chinese New Year is approaching near, we also brought along some mandarin oranges to wish our beneficiaries a very Happy New Year. Let’s take a team picture! And now we’re ready to go! Our boys preparing the food and moving off for delivery! All beaming with joy and excitement to make a difference. The ladies are also working hard! Everyone is eager to contribute back to society! And we are all done after 2 hours! Hope the elderly enjoyed their meals! After we complete all of our assigned deliveries, we gather back and reward ourselves with some team drinks! This has certainly been a meaningful experience for the whole of Minterest team! If you are interested to volunteer in such initiatives, do get in touch with TOUCH Home Care. online interactions with friends and family may now be able to determine if you get a loan. The Law Ministry selected six firms last month (including Minterest) to pilot new business models for moneylending while also temporarily lifting a 2012 moratorium on new licences needed to operate in the sector. licensed moneylending firms here in what is an industry first. The Law Ministry selected six firms last month to pilot new business models for moneylending while also temporarily lifting a 2012 moratorium on new licences needed to operate in the sector. excluding housing, credit cards and car loans, in the third quarter of last year. The key factor for moneylenders is the credit score, which is used to discern a person’s financial reliability based on his credit track record and income levels. But determining risk of non-repayment, even with the already strong credit bureau that Singapore has, is not an exact science, say those participating in the trial. have lost a job recently, said our co-founder Ronnie Chia. Psychometric analysis, which feeds on social media and other online data from borrowers, allows lenders to determine the character and personality traits of borrowers. These are important indications of the willingness to repay loans, said Mr Chia. Mr Jonathan Chong, IFS Capital’s vice-president of business planning and analysis, said lenders will be able to assess the borrower better and faster by considering these additional data points. connections, with the personal and financial data to help us form a more holistic picture of the (borrower),” said Mr Chong. A more positive credit score means a borrower will get a more favourable interest rate that reflects his risk profile, said Mr Chia. But there are dangers in giving the computer full autonomy in deciding whether a person is likely to go into delinquency, given that the accuracy of AI-driven risk assessments is sometimes questionable. these scores are already used in US courtrooms to guide judges during sentencing. unreliable” – only one in five people flagged as likely to commit violent crime went on to do so. committing crime than white Americans. And even when accurate, the use of credit scores to determine risk and reward can be controversial. months due to a low score from loan defaults or other activities deemed to be anti-social. said Mr Edmund Sim, founder of fintech start-up Credit Culture. and machine learning employed in various industries today. Humans can get it wrong even without AI, and they do so while incurring higher costs that will eventually show up on the borrower’s bill. In a demonstration at his Craig Road office, Mr Sim showed The Straits Times how its credit scoring engine analyses and scores applicants for their creditworthiness almost instantly. He declined to give specifics on the algorithms used as they are proprietary to the firm. universally and eliminate any form of bias associated with human intervention, said Mr Sim. them to make better informed decisions,” he noted. 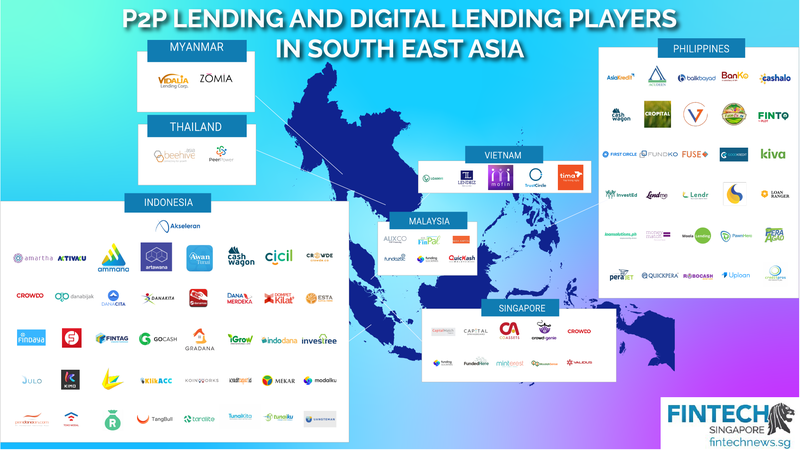 The size of the Southeast Asian alternative financing market grew from US$46.65 million in 2015 to a whopping US$215.9 million the following year. That’s almost a fivefold leap in market value in just the span of a year, according to a study jointly conducted by the University of Cambridge and Monash University. The United Nations estimates that Southeast Asians make up approximately 659 million of the world’s population at the time of writing—and among these numbers, a plethora of them come from regions that have traditionally been underbanked or underserved during the days before the word ‘fintech’ made any sense. Without access to a bank account, and even if they do, a trackable credit record, these populations have been precluded from receiving loans from traditional financial institutions and thus, takes away a lot of opportunities for many of these populations to bring themselves to a higher economic standing. P2P lending platforms have risen to address this specific problem, many able to offer smaller loans, and thus more lax terms. Digitisation or a good mobile layout also means that these platforms are able to penetrate more communities more quickly and with less upfront cost. The rising stars of this industry will probably be coming from Indonesia, that has seen both massive demand, and a permissive regulator that deems P2P lending a viable strategy for helping its constituents rise out of poverty. Capital Match, which was established in 2014, provides business and SME loans and invoice financing facilities of S$50,000 to S$200,000. The platform had funded S$62 million in loans, as of December 2017. 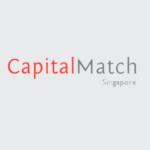 Capital Match has raised S$1 million in funding so far from Innosight Ventures, Crystal Horse Investments and CE-Tech Invest. 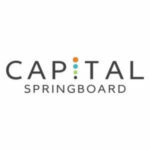 Capital Springboard is the latest venture by David Rawson-Mackenzie, who specialises in wealth and alternative financial strategies. David’s network of companies, the Centurion Group, offers a full suite of financial services for private and institutional investors. Capital Springboard is one of the the largest P2P invoice finance platforms with more than S$170 million worth of invoices transacted as of October 2017. CoAssets Pte Ltd is a Southeast Asian public listed crowdfunding site with offices in Singapore, Australia, Malaysia, China and Indonesia. 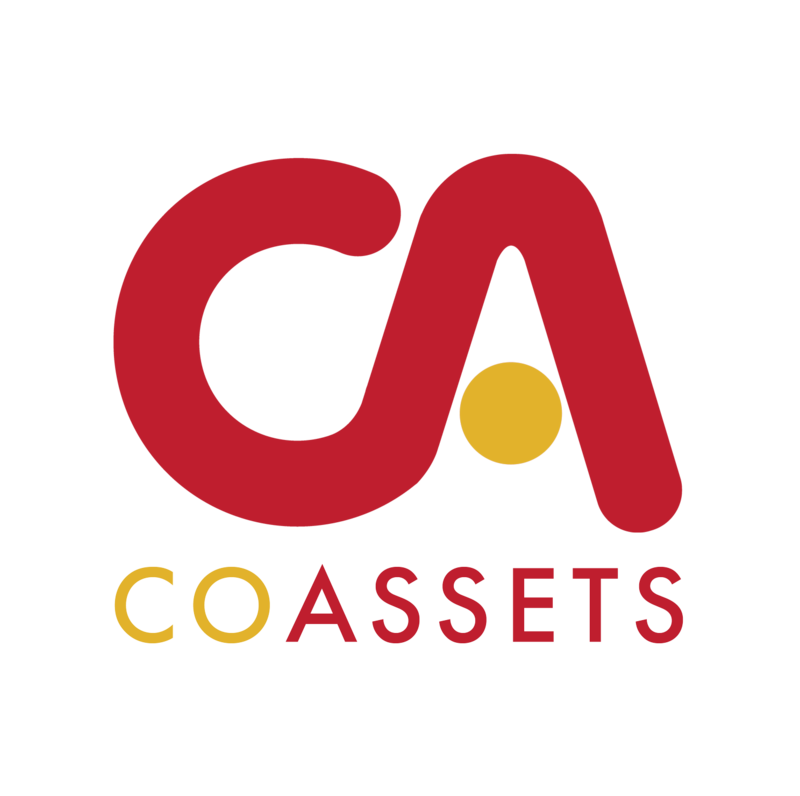 CoAssets Pte Ltd brings real estate developers, businesses and investors together, with in excess of S$43 million worth of transactions taking place through the platform in the last two years. They have also launched Crowdfunders.Asia, a magazine that is dedicated to all things related to crowdfunding to benefit the crowdfunding community. 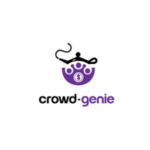 Crowd Genie is a platform where we match Small and Medium size companies who are looking to borrow funds with investors who are looking for better returns than what they get from the banks. Crowd Genie also launched their own token, CGCOIN. FundedHere is the first registered equity and lending-based crowdfunding platform for promising businesses in Asia, issued by the Monetary Authority of Singapore (MAS). FundedHere has built an ecosystem for both investors and businesses, leveraging on Singapore as a springboard for the rest of Asia. The platform connects promising tech startups in Southeast Asia and Greater China with professional and accredited investors. Launched in March 2015, FundedHere obtained its CMS license from MAS in 2016. Recognised as Asia’s Top 25 Fintech Company by APAC CIO Outlook, Minterest intends to use a broad spectrum of innovative technologies and our team’s financial expertise to overcome existing real world financial shortcomings. 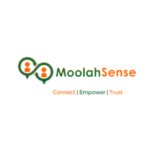 Founded in 2013, MoolahSense is a Singaporean P2P lending platform connecting local SMEs with investors. MoolahSense is backed by East Ventures and Pix Vine Capital and signed a partnership with DBS Bank to refer successful borrowers to the bank for larger loans and other traditional banking services. 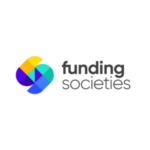 Funding Societies is the first Singaporean peer-to-peer lending company to incorporate a trustee registered with the Monetary Authority of Singapore (MAS). 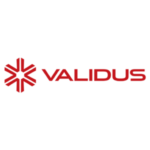 Backed by Temasek Holdings’ Vertex Ventures, Validus is a P2P online financing marketplace designed to help bridge the cash flow gap small and medium businesses face. The platform allows Validus to provide better financing solutions to the underserved SMEs in Singapore. If someone cut into your queue at the cashier in a supermarket, what would you do? Answers to psychometric questions like this will help moneylender Minterest predict a borrower’s behaviour, assess the risk in offering them a loan without collateral – and maybe even slash their interest rate by half. The firm is one of six which will be issued new moneylending licences next year to pilot their own unique business models, the Ministry of Law (MinLaw) announced on Tuesday (Dec 11). It is the first time in six years that MinLaw is issuing new moneylending licences since a moratorium was imposed in 2012. The other firms to be issued licences are Credit 21, Dey and Quick Credit which can operate up to four outlets each. IFS Capital, Xingang Investment and Minterest will be allowed to operate one outlet each. All six firms have paid-up capital of at least $1 million and demonstrated a track record in providing consumer credit, whether in licensed moneylending or in other sectors of consumer credit, said MinLaw. Under the Moneylenders Act, licensed moneylenders have to cap their monthly interest rate at 4 per cent. Mr Ronnie Chia, our very own co-founder and chief operating officer, said that Minterest will be asking psychometric questions to gauge creditworthiness as part of its business model. With mobile applications changing the face of moneylending, they could provide a ” safe, secure and seamless experience” where people key in minimal information like their names and NRIC numbers and firms access their data through a government site like MyInfo, Mr Chia said. Borrowers could log in to the mobile app using their Facebook accounts to find out how much they can borrow and the rate of interest. MinLaw said there are currently 162 moneylending outlets in Singapore. The new licensees will be allowed to operate for up to two years from next year, after which MinLaw will evaluate the results of the pilot and consider options for refining the moneylending regulatory regime. This article was contributed by The Business Times. This article was contributed by The Straits Times. This is part of an initiative to better protect borrowers though business-led improvements, said the ministry in a media release. Of the six firms, three – Credit 21, Dey and Quick Credit – can apply to operate four moneylending outlets each. IFS Capital, Minterest and Xingang Investment are allowed to operate one outlet each. In 2012, a moratorium was imposed on new licenses for moneylenders. Since then, the number of moneylending outlets has decreased from 215 to 162 outlets. “The six firms will be allowed to apply for licences for up to 15 new outlets in total, and this represents less than 10 per cent of the 162 outlets currently operated by the 157 licensed moneylenders,” said the ministry. The licensee will be allowed to operate for up to two years from next year onwards. The ministry will then evaluate the results of the pilot and consider options for refining the moneylending regulatory regime, it added. The firms, which were selected among 38 applicants, were chosen as they met a set of stringent mandatory criteria, the Law Ministry said. These include the soundness and completeness of the business model, participation in debt assistance schemes, professional debt recovery practices, customer and communication strategies and effective cost of credit and credit policies. They also have paid-up capital of at least S$1 million and a track record in providing consumer credit, said the ministry. 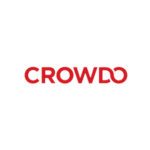 Crowdfunding combines the best of crowdsourcing and microfinancing, bringing together various individuals who commit money to projects and companies they want to support. It’s a young and quickly growing market and it’s transforming how people behave with their money. It’s also transforming the ways businesses raise capital. Massolution’s Global Crowdfunding Report expects crowdfunding to become a $300 billion industry by 2025, but in many ways, crowdfunding is just getting started. The same consulting firms expect the industry to grow at a compound annual rate of 100 percent over the near term. This article was contributed by the balance small business. Our very own co-Founder and CEO: Charis Liau shared her thoughts on Fintech in Singapore with The Worldfolio. This article was contributed by The Worldfolio. Our CEO was named 1 of The 30 Most Influential Entrepreneurs to Watch 2018. Our co-founder and CEO, Charis Liau, considers herself as an accidental entrepreneur as starting a business, let alone in the finance space, was never on the radar when she started her career. However, her experience during her final days in banking made her realize that in order to truly be effective in assisting businesses that form the backbone of a country’s economy, she had to forge a different path. Charis believes that she has been blessed to have a couple of former banking colleagues who shared in her vision, and together they started Minterest in 2016 with a bold ambition of building a new financial eco-system in Singapore and into the neighboring countries. 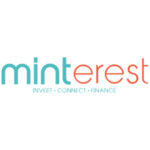 Minterest operates an online marketplace funding platform that connects borrowers with investors. Its mission is to empower investors and businesses and deliver on their financial goals through customized solutions and financial technology. The company aims to create a sustainable community in which investors and businesses mutually benefit by collaborating and leveraging innovations in financial technology. As a leading marketplace funding platform, Minterest utilizes a broad spectrum of innovative technologies and its team’s financial expertise to overcome existing real-world financial shortcomings. Minterest believes in bringing financial inclusion to the unbanked and underserved needs of businesses. As experienced former bankers, Charis and her team utilises its strong financial background in understanding credit, structuring, legal and compliance matters to assist each borrower in their funding journey, turbocharging their business to bring their future to the present. One must have the confidence to believe that the business will succeed. One must have a relentless focus on the things needed to make the business work. One has to have an open-mind and see every event or situation as a business opportunity. One must live and breathe the business and must continue to find ways to make the business better in delighting its customers. Charis started this business because of the belief that she can use her banking and financial experience to assist the hard workers of the economy to meet their financial goals. SMEs contribute to 45% of the economy and employ 69% of the working population in Singapore. Minterest is not just about serving the financing needs of business but also having a positive and social impact. By assisting small businesses to be successful, Minterest is indirectly helping to provide and create employment for the workforce and by extension, improving each person’s personal economy. Charis takes pride in able to procure financing for entrepreneurs where they can turbocharge their businesses, bringing their future to the present. Being able to make a positive difference to them spurs her on in this business. Charis believes, “Competition is good as it pushes us to be better in serving our borrowers and investors.” Her team constantly reviews their processes and how they can deliver well-structured, risk-mitigated investment solutions to their investors. The workflow that processes loan applications is developed in-house – this means that 80% of its credit assessment process is automated allowing it to deliver results of loan applications quickly and bring scale to its own business. The organization also has a proprietary credit scoring algorithm, “MintGrade”, developed in-house. The MintGrade collects over 200 data points per loan and assigns a rating to each loan offering, giving investors a quick overview of the underlying risk profile of the loan investment when the investors embark on their decision making process. Minterest is also breaking new grounds by introducing psychographic tests which will add a new dimension to its credit assessment. “The psychographic tests enables us to determine the “willingness” of the borrower and/or the promoters in repaying a debt,” adds Charis. Charis has plans to expand the Minterest business into the neighboring ASEAN countries such as Malaysia, Thailand, Indonesia, Vietnam and Philippines in the next couple of years. ASEAN is the world’s 3rd largest market after China and India with a population of over 640 million. According to her, with the emergence of the middle class and the massive rise of consumerism and a digitally active population, the internet economy is expected to grow to USD200 billion by 2025, with more than 480 million internet users by 2020. However, 73% (438 million) of the ASEAN population are unbanked. A huge market opportunity exists for platform lenders to serve the needs of the unbanked population and she believes that she plays a key part in this movement to address their needs. “The execution process may change as you tweak your business model but it is the vision and mission that will guide you to where you want to go. Rome was not built in a day, so do plan wisely and seek out resources early. And have the perseverance to keep going even when it is tough,” she adds. This article was contributed by Insights Success.